I enjoyed playing Battle Pirates but I am ready for something new. How about a mech based battle game? Earth has been invaded by an alien species who seeks to harvest the planet for resources. Mankind fights back by unleashing a large scale nuclear attack. The earth is now a desert wasteland contaminated by radiation. Most of mankind is wiped out or gone underground to escape the harsh conditions. Players assume the role of the human resistance force trying to reclaim Earth and restore some sort of civilization or at least to survive. The alien units are bio-engineered creatures augmented with alien tech armor and weapons. Humans units will be primarily mechs as well as small class units like tanks etc. The game would be similar to Battle Pirates but land based with expanded game mechanics. Players would harvest resources, build strongholds and war machines and research new technology. Strongholds will be constructed with highly durable metal walls and gates and heavy firepower will be needed to breach them. Turrets will need to be strategically placed to prevent a breach and slow attackers progress inside a stronghold. These turrets will be a lot stronger so breaking a base will require multiple units of different types to be successful. The goal is to keep repair times much lower than Battle Pirates i.e. 1-4 hours per PvP battles but retain a higher 12-24 hours for a base attacks by requiring more units vs. the base. Instead of a dock, players will have an elevator that brings units up from an underground bunker where they are stored. Players can have 10 units above ground at a time (inside the base and/or outside on the world map). This kind of counters the player controlling fleets so hit them offline problem of battle pirates. If they are online playing then some units will probably be in use and not be guarding. If they are offline then they might have all 10 units guarding. Resources are collected by attacking alien harvesters or mines. The raw materials are stored in the base where various refineries slowly convert them into usable materials. This added refinement step serves a purpose. In BP, players can gather resources on demand and keep their bases empty. When the refinement time is factored in, resources and building materials can no longer be used up instantly after collecting them and extra motivation is added to raid someone else's base for refined building materials and skip the wait time to refine their own. Unlike Battle Pirates where weapons have a 360 degree firing arc, weapons will have a firing arc slightly greater than 180 degrees so units need to be facing the direction of an enemy to fire them (unless you have some rear mounted weapons). Terrain features should also be used for a tactical advantage. Builds should play a large role as they do in Battle Pirates but piloting skill should be expanded beyond just turn, speed and distance. There will be 3 main component class sizes (roughly small,medium and large). Unit chassis will have various types of component slots that may only be fitted with size class it is designated for. For example, a large unit chassis might only have slots for large class weapons and armor or it could also have a slot or two for medium weapons. The size of a target will also be factored when computing a hit and damage. The purpose for this is to allow more rock-paper-scissors like effect. For example, a large unit mounted with large cannons may be very effective against stationary base turrets and other large unit classes but may have a hard time scoring a hit on a small unit (like infantry vs. jeep vs. tank in Command and Conquer). All three unit size classes should have a useful role and more effective in some areas vs. the other classes so the game is not just about having biggest, strongest units but having the right combination of them for a certain strategy. Standard - Plain looking but decent units that are researchable and buildable. Elite - Unlocked as event prizes. Once unlocked they are researchable and buildable. Cooler looking with slightly better stats than standard tech. Super - Won as event prizes. Not buildable. If you want more than one you have to win more than one. Much cool looking and much better stats and abilities. Super class armor, weapons and upgrade modules/specials are not lost during refits. They can be removed from a unit and stored and then added to any other unit that has an appropriate slot to take them. Standard and elite components are lost and rebuilt in a refit. In addition to units, weapon, armor and specials/tactical modules as prizes, there should also upgrade kits. These upgrades kits will change an existing unit, armor or weapon to a slightly better version with improved stats (and perhaps improved graphics). Each component should have a limited number upgrade slots available. When there are more upgrades available then slots this creates something like a tech tree where players make choices and players may have identical units, weapons and armor but their upgrade choices keeps them from being exactly the same and allows for more variables in combat. The purpose for upgrades is to allow a lower rate for brand new units are introduced into the game. And to allow steady player progression while minimizing the power curve imbalance. The standard units you start out will can continue to progress even after everything is unlocked and researched. One problem is Battle Pirates: If you have multiple fleet on the world map and you engage a target with one then the remaining are vulnerable to be attacked while on auto-pilot. The way players have found to counter this hiding fleet under bases. Probably not an intended feature designed into the game but a bug or quirk that became a feature to full a necessary role. But this is not a very clean solution for future games. I think I have found a solution for this for a mech type game: Large airborne transport ships. You would have a landing pad inside your base where it sits when not in use. You can load/unload units inside your base or pick up and drop off units outside on the world map. While playing around with mech designs, I quickly realized that having these walk far distances on a world map is going to be a problem. Their legs are animated so they can only travel so fast before the animation looks weird. Walking them up to another sector would take forever. But a transport carrier solves a lot of problems at once. You can attack long range targets and have all your units arrive at the same time (especially useful for large scale PvP battles). The transport ship is airborne so your units stay protected until dropped and they can quickly be swapped in and out during a a multi-staged attack. You can keep the identity of your units hidden while en-route to a target. And adding interception for units on the ground is workable because a player can control their risk and escape being intercepted if their transport reaches them and picks them up before an enemy unit gets close enough to attack. It also adds another reason for defending and attacking bases: If your transport and/or transport dock is damaged then you are limited to local targets and activities until they repair unless you are willing to risk non-transported units of being intercepted by an enemy. But it is not like losing your dock in BP where you can not play until it is repaired. You can still play but you might not be able to join friends in distant PvP battles going on. Are KIX actually allowed to use/read suggested ideas like this? Isn't there something about the potential for legal issues? Very well thought out, though, I skimmed it and you have some good ideas. Creative. All ideas here are free to use. They have wishlists for features in their current games so this should not be too different? Just a wish for a new game system rather then a feature. There will be heavily fortified metal wall tiles to enclose your base and to build mazes inside to slow progress of an attacker inside. No building may be 100% enclosed by walls but players can also use a number of gates in base construction. Gates automatically close when a base is under attack but they are much easier to destroy then a wall tile so turrets will need to be strategically placed to protect these areas especially. There will be a limited number of wall tiles and gates available in base construction but that number should be reasonable high. Players may build walls that are multiple layers thick in areas where more they need more protection and they may stack walls up to 2 layers high. Walls 1 tile high will block straight line-of-sight weapons like cannons. At 2 layers high they will block arcing weapons like missiles and mortars so bases will need to be breached before an attacker to do much damage. When you factor this in with a limited number of tiles, there are a lot of decision and compromised players will need to consider in designing a perfect puzzle and a wide variety of mech classes and roles to come up with solutions. Mechs will be classed into 3 base sizes: small, medium, large and (and x-large reserved for a few special mechs). When a wall at the base is breached one tile wide then small mechs may walk in, at 2 tiles wide medium mechs can get in and at 3 the larger etc. A small number of lighter armored mechs will have jump jets. These will allow them to jump over a 1 layer high wall (as well as quickly close a gap or move away from an attacker in PvP battles). Jumps jets can be fired once to jump and there there is a cool down timer before they may be used again. One strategy may be to try to jump in suicide jump jet mechs to take out specific targets making it easier for your bigger mechs to breach the walls. There will also be mech with special targeting abilities that combine with a special variations of missiles and mortar weapons so that a player may breach a wall, then send in a spotter mech allowing other mechs outside to fire over 2 layer high walls. 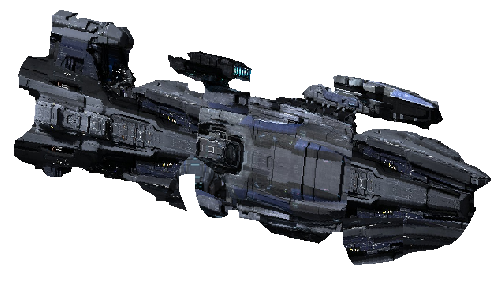 Rather the fleets of 5 ships like Battle Pirates has, I would like to see a whole new and more flexible system. Players should be able to combine units into forces. Each force will have 4-5 slots that can hold one unit each. A force is intended to be a loosely based way to group units and identify sides for a battle and units could be removed and added to a force at any time. Multiple players (up to one per force slot) may combine units into a single force for multi-player attacks or a solo player may control the entire force of their own units. This would allow things like muti-player base attacks and PvP battles while keeping the sides balanced. If a force is set to attack a single unit or another force with less units then the attacker will have a countdown timer before the battle begins to select a matching number of units to use from the force so sides in a battle are balanced but multiple units and players per battle is optional. I love this idea. I'd also love to see it as a full scale game that includes all aspects of the story. Such as being able to choose a faction of humanity. Such as a navy, an army, and an air force. Perhaps even a space force. Problem is that the game would be huge and would need a lot of work to start. However it combines everything into one game. You may have to defend against a air force attack or attack a naval base. It just seems awesome in my head. Problem is that I'm having trouble describing it. Perhaps bruce_lee could help me by trying to describe my idea. He seems to have everything together. Someone once told me, if you want a mech game go play War Commander. I tried it but I didn't really like it even though it has mechs in it. You could even make a mech version of Tetris but what I would like to see is the combination of mechs along with the core game play from Battle Pirates that made it so addicting and also unique. I kind of like the slow pace where you build yourself up over a long period of time and have to really think about what you want to do long term. The chat window and community of friends was one of the single most important parts of the game there. The battle mechanics and player interaction could be improved upon and expanded while retaining a game that would be familiar to former Battle Pirates players. Somewhere I have a much more refined version of the original concept that I posted here. I will post the updated one later if I can find it. Not gonna lie. A mech game similar in style to Battle Pirates would be awesome. Where you get to create fleets of mechs with weapons, specials, and armor would be bad-effin-****. I don't really think anything like that exists currently. Most of the "mech" type games consist of sending out single mechs of different types that can't really be customized. There's like 10 different types and they are what they are. Something with more flexibility and creativity would be awesome. Imagine an overhead view with mountains and trees limiting the mechs view to be navigated. I would like to see a mech game as well. I love mecha and Im honestly saddened by the lack of a good mecha game. Another idea too is for kixeye to have premium mecha to generate more revenue. Like if they were able to get permission to include some of the classic mecha from anime and manga. How epic would it be to roll up to a base with a mazinger or gundam fleet. And kixeye could simply use the already existing 3 mecha classifications to draw basic comparisons for how to balance the game. "Real" mecha being the smallest and most maneuverable, high rof weapons but low damage and armor. "Super" which have high armor and damage but weapons have low range and low rof. Then "hydrids" with a mix of the 2 but often have specialized weaponry for a certain purpose.